There has been much discussion about the quality of life problems along the Dyckman St corridor from Broadway to Payson, down the block from La Marina. This is a strip with 12 liquor licenses along a two block, 550 ft stretch (an average greater than a liquor-licensed establishment every 50 ft), located in an overall residential zoning district. Did the Dyckman Street Strip influence the many contract violations at La Marina, or did La Marina influence the quality of life problems now found all along Dyckman Street? And which came first? The answer is “both”. Historically, Inwood had many bars but they tended to be traditional taverns (as opposed to nightclubs) and were located mostly along Broadway, the main commercial street. The western end of Dyckman street was a mix of residential, service retail and light industry during this time. A real estate master’s thesis is no doubt being written somewhere as to the exact parameters that contributed to the area sparking as a nightlife destination around the time the Dyckman Marina concession RFP was being bid. 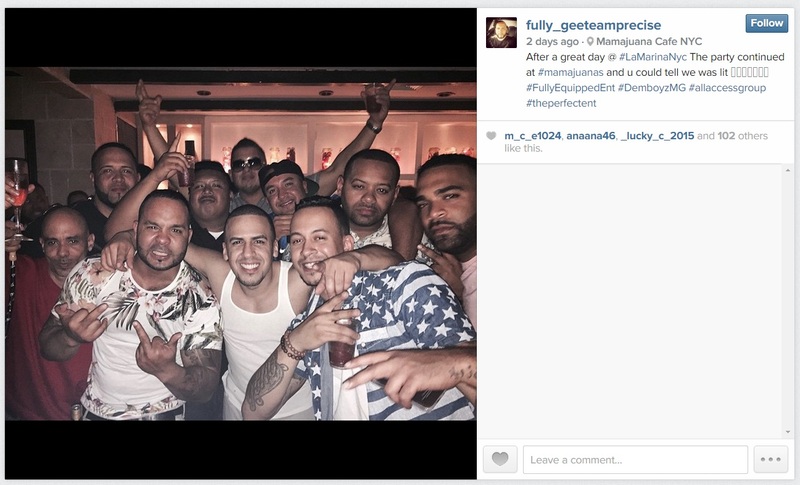 Tweet from patrons who went drinking at Mamajuana’s after exiting La Marina on May 24, 2015. 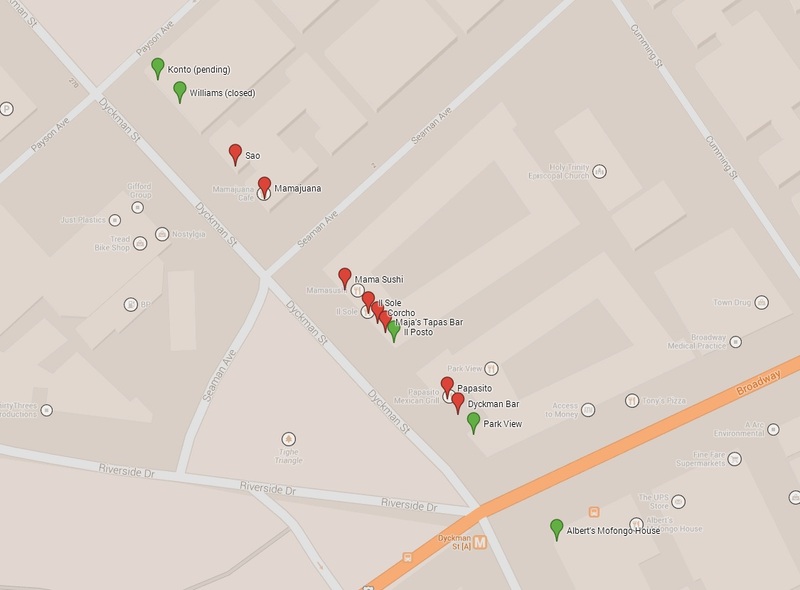 The same person owns stakes in both establishments. Yes, of course. After all, if La Marina can ignore the NYC noise code on a daily basis, why should the neighboring businesses have to play by the rules? Unfair indeed. With thousands of revved-up clubgoers exiting La Marina from 10 pm to 1 am in a city that allows bars and clubs to stay open until 4 am, nightlife spots all over the region began competing for the post-1 am audience dollars and started advertising “Afterparties” heavily. When La Marina parties on a Sunday night (this during the school year no less), everyone parties on a Sunday night. Thanks, Parks! The greatest impact was obviously felt nearby. In recent summers the police blotter has often stretched from river to river as the crowds swelled and moved along the Dyckman strip all night long. Increasingly, vacant spaces in Inwood have turned into bars as far north as West 215th St in order to capture the market the the Parks concession was fueling. 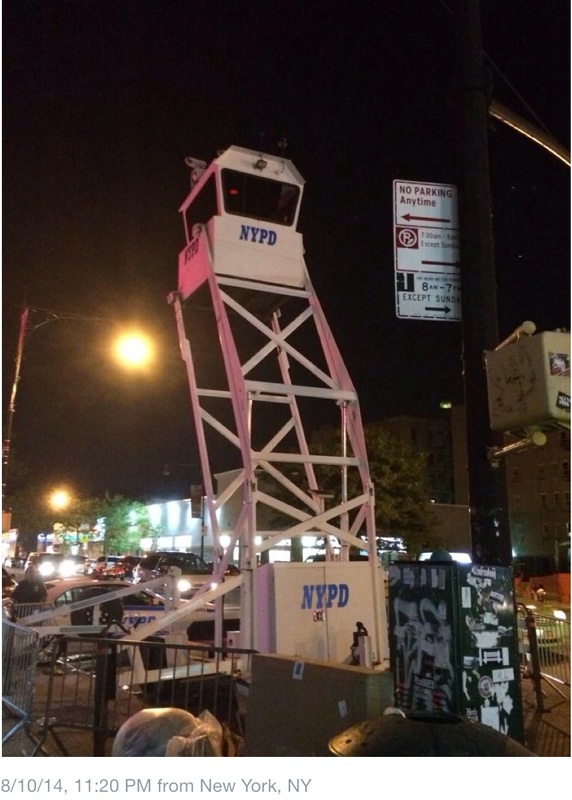 At a September 10, 2014 closed-door meeting the NYPD admitted that three officers were assigned to Dyckman Street on summer Sundays. Given the overwhelming size of the Parks concession, they effectively are assigned as taxpayer-funded additional private security to the concession and its spillover rather than patrolling other parts of Manhattan’s largest precinct. This is outrageous. Patrons of the many Dyckman Street establishments have nothing to fear by a restoration of the Dyckman Marina to its original and approved uses of a restaurant and marina. “Dyckman” is an actual brand name now and the street has secured its place as a nightlife corridor for years to come, regardless of what happens at the western end of the street. At the same time, removing the problematic capacity of the concession’s concert and nightlife uses will take significant auto and foot traffic pressure off the street, reduce economic pressures on remaining non-licensed businesses, and make matters more manageable for all. Restoring Dyckman Marina to its original intended functions of a marina and restaurant, and only those functions, may even make the rest of Dyckman Street more sustainable as a destination in the long term. Categories: Noise, Public Safety, Traffic | Permalink.